Something as simple as handwashing can revolutionize a family's health and help them get out of poverty. Superstition, misconceptions, and poor health knowledge made Julekha and her family vulnerable to disease. Most of the people in her village were illiterate and extremely poor. A lack of health clinics perpetuated the people’s reliance on superstitious beliefs to heal their illnesses. They had no access to safe drinking water or sanitary latrines. They didn’t know that washing hands before eating and after using the washroom could reduce their risk of getting sick. As a result, children in the community suffered. Julekha’s family went regularly to the local Hakeem (Traditional Ayurveda Healer) for treatment. Very seldom would they make the 18 kilometre trek to the Mymensingh Sadar hospital—the closest hospital in their district? The distance, poor transportation, and a lack of conviction that it was really worth it prevented Julekha’s family from receiving the health care they desperately needed. 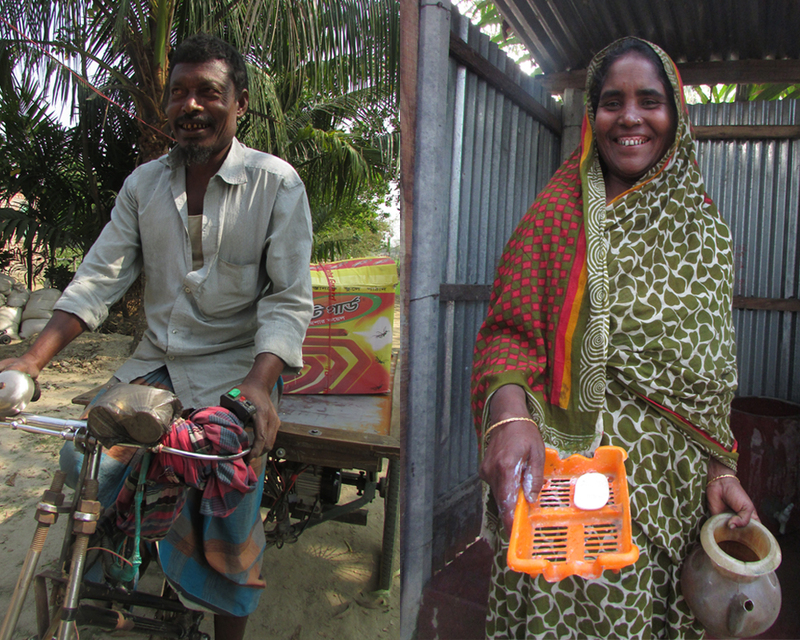 Because of their poverty, Julekha’s family was unable to afford nutritious food and fruits. Their unbalanced diet weakened the family’s immune system, making them more susceptible to illness. In 2012, however, Julekha’s paradigm for health began to shift. She joined an FH women’s educational health group called Rajanigandha (Sunflower). Through this group, Julekha was given access to information that could dramatically reduce the illness in her family. She went from being held hostage by superstition to gaining control over her family’s health. As she gained confidence, Julekha began implementing changes in her home. With the help of FH, she set up a sanitary latrine and a tube well at their home. Her children and husband began wearing shoes to go to the latrine, washing their hands with soap before eating and after using the toilet, drinking safe water from the tube well, and regularly taking deworming tablets. The change in their health was extraordinary! Julekha’s children rarely fall ill now, and when they do, she takes them to a doctor to receive the appropriate treatment. As a mother, she has been equipped with the knowledge she needs to provide a nutritious and balanced diet for her family, thereby strengthening their immune systems and overall capacity to live healthy lives. After seeing the changes in her own family, Julekha has become passionate about health education. She now provides health training to a group of neighbours and conducts in-home follow-up visits to help with their health initiatives.